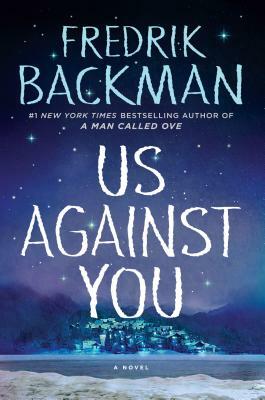 From the #1 New York Times bestselling author of Beartown and A Man Called Ove, hailed as "a writer of astonishing depth with] the remarkable ability to make you understand the feelings of each of a dozen different characters" (The Washington Times), a heart-wrenching story of how loyalty, friendship, and love carry a town through its darkest days. After everything that the citizens of Beartown have gone through, they are struck yet another blow when they hear that their beloved local hockey team will soon be disbanded. What makes it worse is the obvious satisfaction that all the former Beartown players, who now play for a rival team in Hed, take in that fact. Amidst the mounting tension between the two rivals, a surprising newcomer is handpicked to be Beartown's new hockey coach. Soon a new team starts to take shape around Amat, the fastest player you'll ever see; Benji, the intense lone wolf; and Vidar, a born-to-be-bad troublemaker. But bringing this team together proves to be a challenge as old bonds are broken, new ones are formed, and the enmity with Hed grows more and more acute. As the big match approaches, the not-so-innocent pranks and incidents between the communities pile up and their mutual contempt grows deeper. By the time the last game is finally played, a resident of Beartown will be dead, and the people of both towns will be forced to wonder if, after all they've been through, the game they love can ever return to something simple and innocent.